Going beyond geography, we share a strong identity based on values, a traditional way of life, remarkable architecture and a regional cuisine that is full of flavour. Our territory is identified by the centuries-old chalets of our village resorts, the baroque chapels spread across the massifs, the Belle Epoque touches in the villages around the lake and the nobility of our churches and châteaux, such as those in Clermont, Montrottier, Thorens-Glières, Duingt, Menthon-Saint-Bernard and Annecy, the City of Art and History prized for its picturesque canals and its labyrinth of paved streets. Our culture is also handed down in our arts and crafts – pottery, basket-weaving, wooden objects and rustic painting – and the richness of our culinary heritage, with cheeses and cured meats to make your mouth water. Similarly, it preserves the historical traces left by the heroes of the Resistance and the Glières maquis. But don’t get the wrong idea! Our territory is nothing like a museum or a superficial postcard. Alive and vibrant, our culture is constantly enriched with new influences. 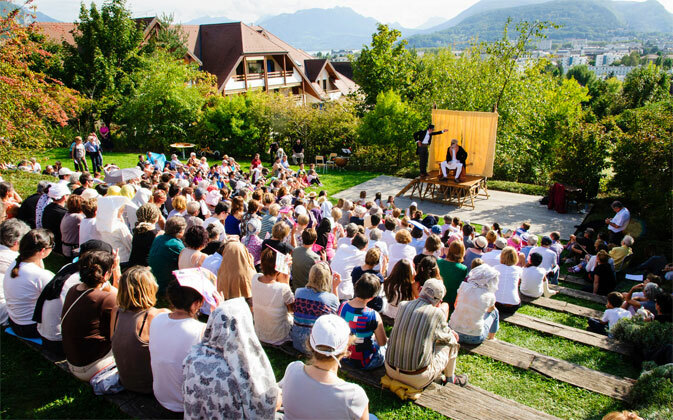 The moving image and the creative industries, the demanding programming at Théâtre Bonlieu and the area’s other theatres, places where live performances are created and staged, concert spaces… This cultural melting pot resonates with the traditions of our mountain heritage and the gentle life of our villages. Our culture draws on the past to live fully in the present and turn with anticipation to the future. It has the essential elements: roots and wings.